I love Caramels, and have been known to buy a bag from time to time, but haven't really bought any since I found this recipe. This really, really easy recipe. In fact it's only 5 ingredients and you don't need a candy thermometer, which is actually good, since I don't have one. It takes only a few minutes to make and you can be eating caramels in just about an hour or so. You do have to wait for them to cool down. Which I do, sometimes... Only downside I can see is burning your tongue on the hot caramel. Sorry, I got sidetracked there. Since we have a function to go to this evening I thought a plate full of homemade caramels would be a nice hostess gift. (please see my note at the bottom of this post). I always have the ingredients for these in my kitchen, never can tell when you'll need to bring a hostess gift, and they're home-made which makes them even more special. Here's the ingredients. And please note, that I use the Dark Corn Syrup, because most of the other recipes I use corn syrup in call for Dark Corn Syrup. But you can use whatever you have in the cupboard. 1/2 cup Sweetened Condensed Milk, Eagle Brand is best. In a 2 quart microwave safe dish, (I use a loaf pan, melt the butter and then add the rest of the ingredients. Microwave on High for 2 minutes and then stir. The mixture will be nice and foamy. Cook two more minutes and stir it again. Please, please be careful when removing it from the microwave, this mixture can cause some really severe burns if spilled on you. And I'd hate to have your Christmas messed up by recovering in the burn ward at the local hospital. That being said, go ahead and microwave the mixture again for another couple of minutes. Or if you like them softer, just hit it for one more minute. Honestly this takes longer to set up and clean up than it does to make. When you've cooked it long enough, pour it onto a buttered pan and let it set up. When it's almost set all the way, score it in the sizes you want. You can hasten the setting process by putting the pan into the fridge, and then cutting them. While the pan of caramels are setting up, cut up some squares of parchment paper and get ready to wrap up the luscious squares of caramels. If you have some toasted pecans handy, you can pour the caramel over them, and cut them into squares. And top them with some chocolate. Do I hear Home Made Turtles? Well, I learned my lesson. Don't try making this with a store brand milk, I just made a batch and it curdled. Never had that happen before, and the end result, while tasty, is just not up to my standards and I'm going to keep it for myself. And since it's Christmas Eve, and I don't feel like driving 7 miles into town for another can of milk, I'll just have to bring something else as a hostess gift. But in the meantime, I recycled the pictures from the last time I made this. Waste not, want not. You can also use this recipe to put inside Apples, a slightly different take on Caramel Apples. Gotta say these were totally delicious. And you can also make them salted as well. I did some for a special event. And they were good. 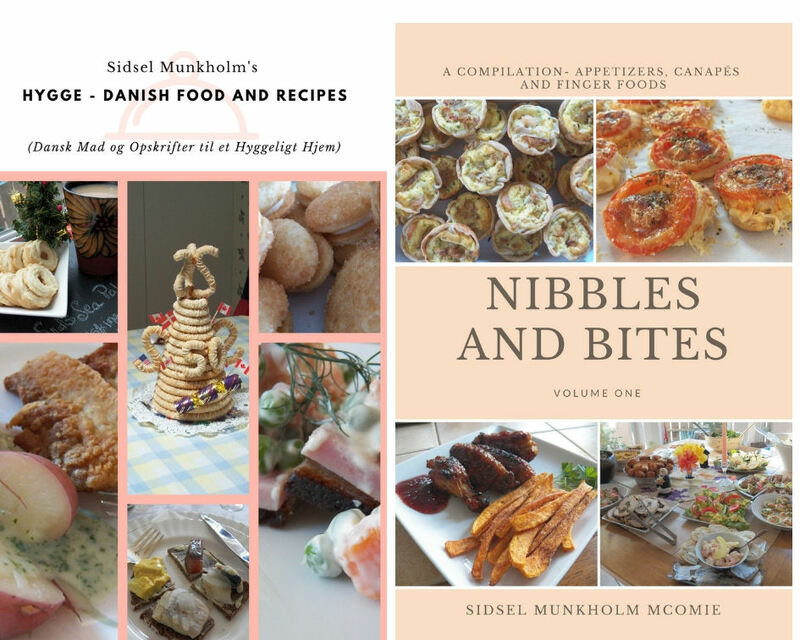 My first cookbook was Hygge - Danish Food and Recipes and it would be a great gift for yourself or any foodies in your life. Available as a Kindle e book or in paperback. 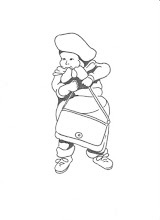 Autographed copies are also available at the Danish Windmill in Elk Horn, Iowa or on their website. Nibbles and Bites is also now available on Amazon, in paperback or as a Kindle ebook.